"Unable To Check For Update" On iPhone? Here's The Real Fix! You are at:Home»iPhone»iOS»“Unable To Check For Update” On iPhone? Here’s The Real Fix! You went download the latest version of iOS, but instead you see a pop-up that says “Unable To Check For Update” on your iPhone. No matter what you do, you can’t seem to download and install the new software update. In this article, I’ll explain what to do when it says “Unable To Check For Update” on your iPhone! Settings may have experienced minor software glitch, preventing it from being able to check for a new software update. Closing and reopening an app is a quick way to fix these minor software glitches. First, open the app switcher on your iPhone. If you have an iPhone 8 or earlier, double-press the Home button. 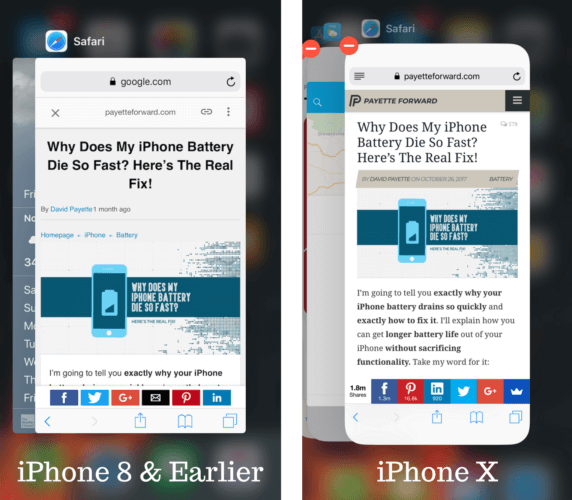 If you have an iPhone X, swipe up from the bottom to the center of the screen and pause there for a second to open the app switcher. On an iPhone 8 or earlier, swipe the Settings app off the top of the screen. On the iPhone X, press and hold the Settings window until a small red minus button appears. Either tap that button, or swipe Settings up and off the screen. Even if closing the Settings app didn’t work, it’s still possible your iPhone is experiencing a software glitch. Try giving your iPhone a completely fresh start by restarting it. If you have an iPhone 8 or earlier, press and hold the power button and swipe the power icon from left to right across slide to power off. If you have an iPhone X, press and hold the side button and the either volume button to reach the slide to power off screen. iPhone 8 and X: Quickly press and release the volume up button, then the volume down button, then press and hold the side button until the Apple logo appears. iPhone 7: Press and hold the power button and the volume down button simultaneously until the screen turns off and the Apple logo flashes onto the screen. iPhone SE and earlier: Simultaneously press and hold the Home button and the power button until the Apple logo comes onto the screen. In order to check, download, and install new iOS updates, your iPhone has to be connected to a Wi-Fi or Cellular Data network. Furthermore, larger updates can’t always be downloaded using Cellular Data, so a Wi-FI connection may be required. First, quickly make sure Airplane Mode is off. 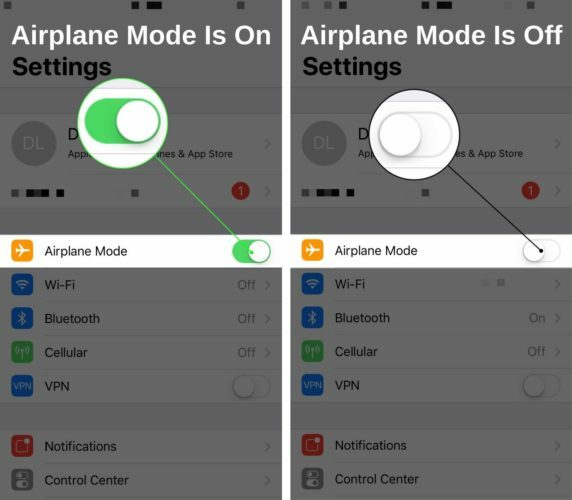 Open Settings and make sure the switch next to Airplane Mode is off. Next, make sure Wi-Fi is turned on. 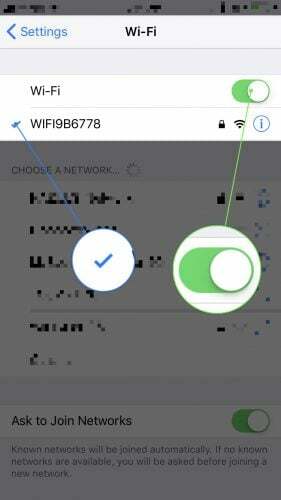 Go to Settings -> Wi-Fi and make sure the switch next to Wi-Fi is turned on and that there’s a blue check mark next to your Wi-Fi network. Apple also recommends trying to check for the update a different Wi-Fi network. 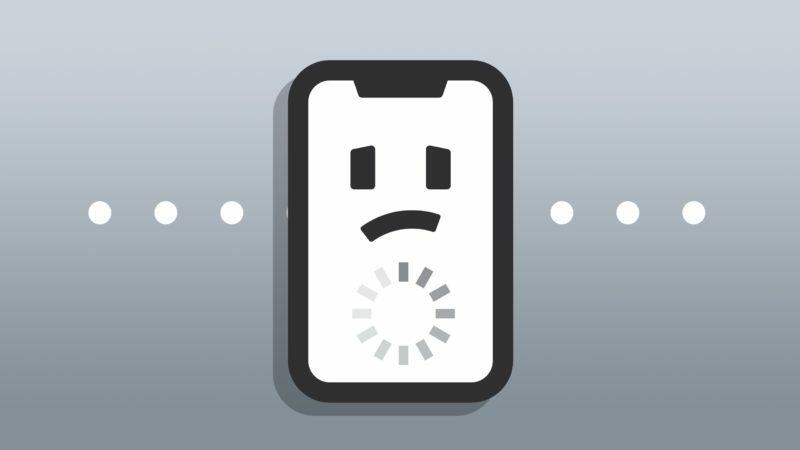 If your iPhone gets stuck on “Unable To Check For Update” on every Wi-Fi network you try, check out our Wi-Fi troubleshooting article. It’ll help your fix potential problems with your Wi-Fi network. If you’re having issues with your cellular network, check out our other article on what to do when Cellular Data won’t work. It’s possible your iPhone says “Unable To Check For Update” simply because Apple’s Servers are down. This occasionally happens when a major iOS update is released, or when Apple is performing routine maintenance on their servers. Take a look at Apple’s System Status page and make sure you see lots of green circles — that means Apple’s servers are working properly. If you see lots of yellow or red icons, there are issues with Apple’s servers and you may not be able to download the latest iOS update. The final troubleshooting step when it says “Unable To Check For Update” on your iPhone is to put it in DFU mode and perform a restore. When you perform a DFU restore, all the code on your iPhone is erased and reloaded. Your iPhone is also updated to the most recent version of iOS. Check out our DFU restore guide to learn how to put your iPhone in DFU mode! Your iPhone has successfully checked for the latest software update! I hope you’ll share this article on social media to help your friends and family when it says “Unable To Check For Update” on their iPhones. If you have any other questions, leave us a comment down below. Previous ArticleHow To Sync Messages To iCloud On iPhone: Here’s The Real Fix! Next Article iPad Not Connecting To WiFi? Here’s Why & The Real Fix!